Engineering tunnels are driven by drill and blast, road header and TBM methods. 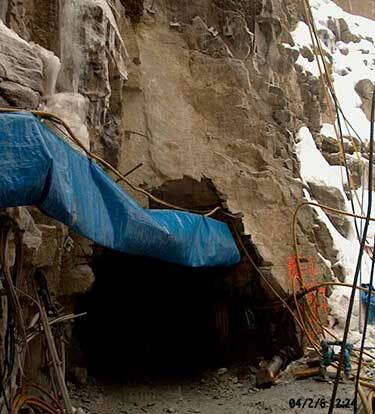 An issue for all these types of tunnels is support requirements for long term, safe operations. The support requirements will depend on the rock conditions, stress levels, tunnel span and type of usage, and the types of support may range from spot bolting to a full concrete lining. Another issue that may need to be addressed is repair of existing tunnels. Lake taps - a particular skill is the design and implementation of lake taps to connect natural reservoirs to water supply and pressure tunnels. Preparation of excavation sequences and temporary support measures in multi-heading drives.